Why should businesses care about early childhood learning? According to JD Chesloff, executive director of the Massachusetts Business Roundtable, many business leaders realize: If you want to secure the workforce of the future, it makes sense to start at the beginning of “the supply chain,” and that’s early learning. Early Learning Nation: JD, welcome to the Early Learning Nation studio. JD Chesloff: Thank you for having me. Early Learning Nation: You have sat at the intersection of business, public policy and education, including early education, for much of your career. What’s the state of affairs today? And as you look around the nation and you look at Massachusetts, what grade would you give us? JD Chesloff: Well, in Massachusetts I would say, you know, probably I give us a solid B plus, maybe bordering on A. Early Learning Nation: That would be tough grade, or are you easy? JD Chesloff: Well, I mean if you look at some of the rankings, for example, Massachusetts does very well. The reason why I wouldn’t give us an A plus, maybe even stay at a B plus, is there’s still significant achievement gaps in our state that we’re working on. Frankly, just to tie it back to your childhood for a second, it is a significant strategy to address achievement gaps. Early Learning Nation: What’s the why? Why use and focus on early learning as a key driver to closing achievement gap? JD Chesloff: One of the members of the Roundtable used a really great analogy. He said, “If you’re Michelin tires, and you have a hole in your supply chain of rubber, you immediately go to the beginning of that supply chain and fix it.” When we talked to a lot of employers, they will tell you there’s a hole in the supply chain of workers. If you’re going to use a strategy to go fix that supply chain, it makes a ton of sense to start at the beginning, and early childhood is that strategy. Early Learning Nation: What’s the business case? Why should businesses care? I mean, of all the things they have to care about, why should they care about investing in early childhood learning? JD Chesloff: I think it’s twofold. It is the supply chain issue. When we talk to members of the Roundtable, Massachusetts and ask them what are the most important issues they’re dealing with right now, they’ll talk about congestion and transportation issues, but they’ll talk about the inability to find workers with the skills necessary to fill open jobs. We actually survey them, and that number’s gone as high as about 75% of the employees we survey will tell you they’re having a hard time. So this is a strategy, a long-term strategy to address that. The other business case, of course is for the current workforce. If folks have quality options for their children, they are far more productive workers. So I think there’s a couple elements of the business case, but business folks certainly get that. Early Learning Nation: The current benefit to current employees who have children, I think that gets overlooked a lot. We talk a lot about, how do you incentivize and get business owners interested in investing for the long term, and particularly we know for many companies that’s difficult when there are short-term and quarterly requirements, and yet there are some real short term immediate benefits that can accrue when you have an employee force that you need there, and it’s a benefit that you can deliver. JD Chesloff: Yes, and I think what happens in Massachusetts, anyway, is that childcare is very, very expensive. So employers are seeing it, with their difficulty that their employees are facing in finding high quality care. 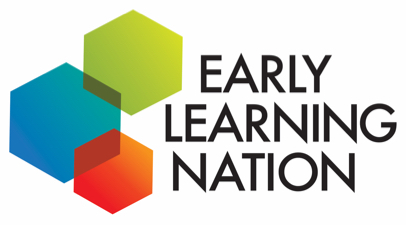 Early Learning Nation: Now you have a public policy background as well. What’s the public policy interest and how … and maybe if you can go beyond Massachusetts, that’s great, but if you want to focus on examples within Massachusetts, that’s perfect as well, that intersection and partnership between the public sector and the private. How does it work and how is it working? JD Chesloff: I’ll give you a great example, a current example in Massachusetts. What I have found over the course of my career is that you really need three things to successfully move a public policy agenda. You need a champion. You need really great data, and you need a grassroots kind of field effort. In Massachusetts, we have a great champion, and it’s the Speaker Of The House, right? So, he has said this is going to be a priority of his for all the research reasons we know. He then says, “Okay, we’re going to focus on the early childhood workforce.” Who better to understand the needs of how to develop a workforce but the business community? He brings the community together to say, “Hey, help me think about this. How do we build a system in Massachusetts that really focuses on creating a high quality early education workforce?” Created a business advisory group on early education, which I chair. That group has come together, done a report, advises the Speaker, and has led to a series of both financial and policy changes in Massachusetts that have really helped this issue. So that’s a great example of how business and public policy and policy makers can work together. It’s happening right now. Early Learning Nation: I assume that while the public side is pushing the business, the business is also pushing the politicians and the public policymakers. JD Chesloff: Absolutely, in fact, I served as the chair of the state’s Board of Early Education and Care for 10 years, and during that time got to tour a whole variety of early childhood centers, facilities. I remember being on a tour in one, where there was a boy. It was this beautiful kid in a city. I said to the guy who was leading the tours, “Geez, what a remarkable child.” He said to me, “Yeah, that child’s father is in jail. He’s been shot and is in jail, and his mother has drug problems, and this is the safest place he’ll be all day.” That stuck with me and I said, “Okay, how do I use, how can we use the platform that we have as business leaders to address that?” That’s kind of where we started to get engaged with a lot of this advocacy around early childhood. Early Learning Nation: For you personally, is that where you got into this and got connected with this, or was this an interest of yours and a policy interest business interest of yours, even before that? JD Chesloff: So how I got involved with this, other than having children of my own who went through a great program, I worked on a gubernatorial campaign in Massachusetts and we lost. It was very difficult for me at that point to find a job with the new administration. With very few options I ended up going to work for an early childhood advocacy organization, called The Early Education For All Campaign. That’s how I got involved with the public policy aspect of early childhood, and during that time we developed and passed the legislation that created the [Born 00:06:09] Department of Early Education and Care in Massachusetts. That was really my initial foray into it, and I’ve just become a convert and advocate ever since then. In the end, is it going to the beginning of the supply chain? Is that where the answers to all of this really lie? JD Chesloff: I think it’s a answer, one of the answers. I actually sit on MBA Youth Board, and I’m very familiar with that report. That report, it really looks at the entire continuum. If you’re going to invest resources in one place, it might as well be at the beginning, because it’s proven to be the most effective way to adjust the issue. Early Learning Nation: JD, thank you.